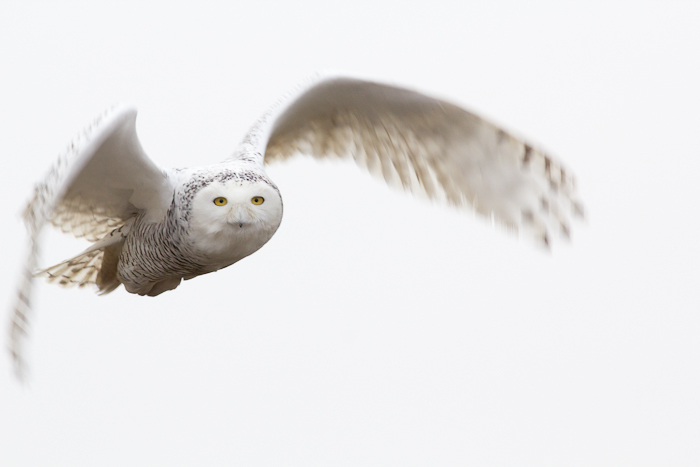 This Snowy flew right over our heads. Another shot of this gorgeous little owl. The weekend expedition was a great success. Marie Burle, Willow English, Mike Boers and myself set out for Delta, where the swampy farmland meets the muddy waters of Boundary Bay. . 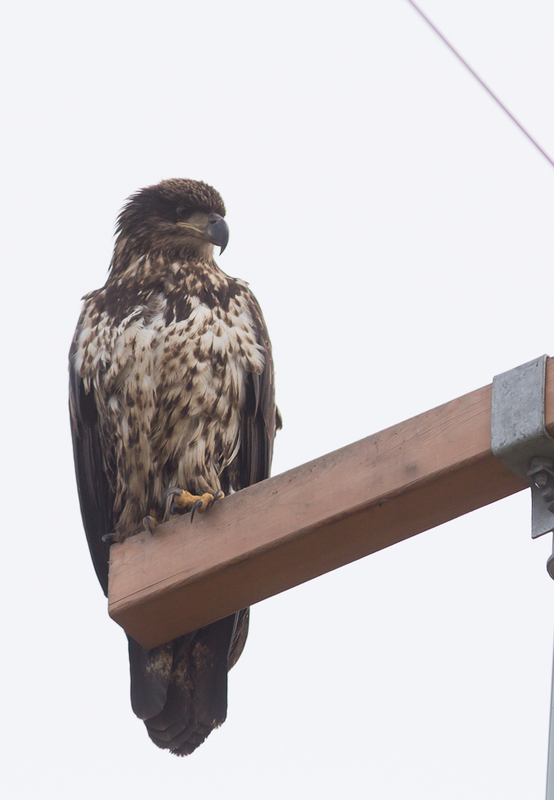 This site is a great place for birds of prey, especially in the winter. 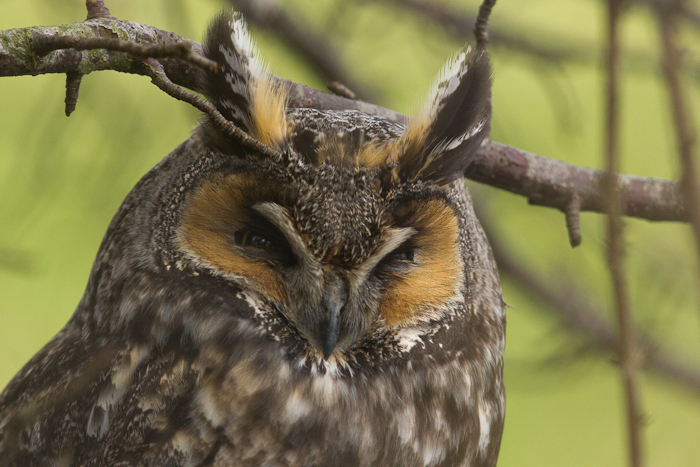 We endured cold cloudy weather, but were rewarded with sightings of three owl species, harriers, a Cooper’s Hawk, Red-Tailed Hawks, and many eagles…. 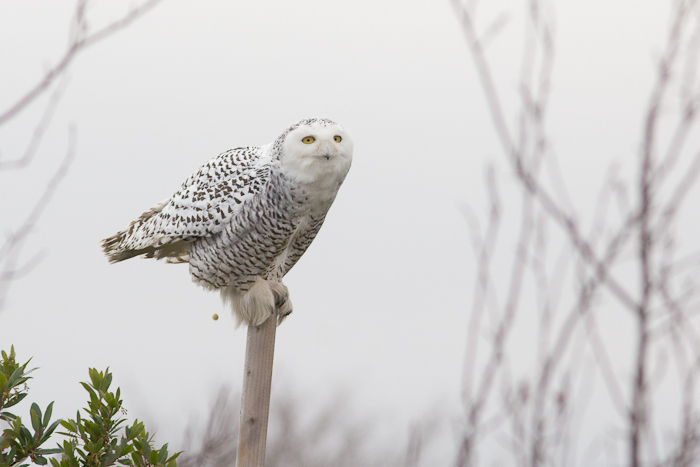 The Snowy Owls, which have been abundant at this site both this year and last, were for the most part far off near the shore. We did spot a few, including this one which flew right over our heads. 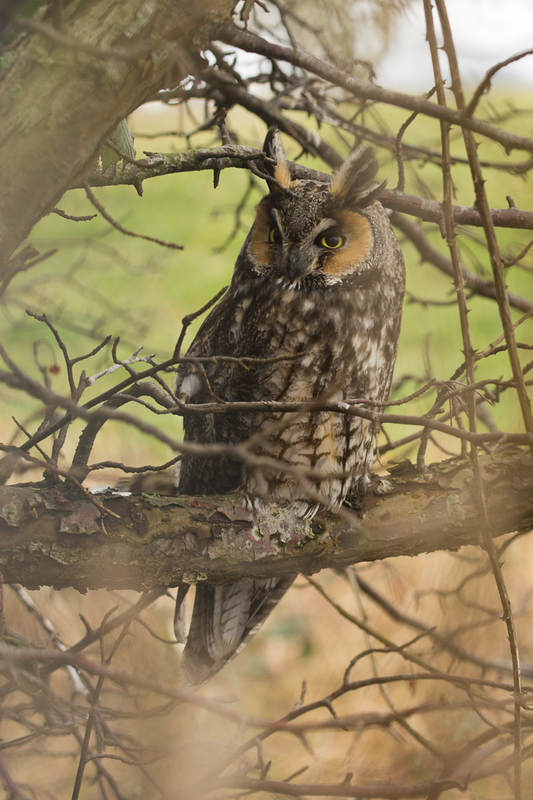 Without a doubt, the highlight of the trip was sighting these wonderful little Long-Eared Owls. 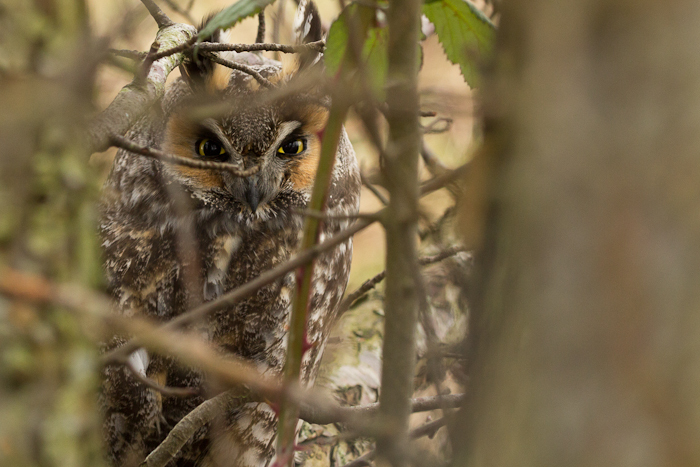 Just as we were about to drive away, Marie, a fellow researcher at SFU , spotted the first owl hidden in a tree right next to the car. To our surprise, there were actually three of them perched within 1 m of each other. Shooting was difficult, due to a fence and many blackberry bushes, but we managed to shoot some decent exposures. A brief visit with Sofi Hindmarch, another raptor biologist ended a great weekend expedition. That long-ear shot turned out great. I won’t be looking at mine quite yet, but at least someone’s turned out! Reifel expedition soon! I am sure your shots turned out fine. It was a challenging shot with all that screening vegetation! Just amazing. I’ve just been showing my husband.